Susan Herbert, Lone Star “Dog Whisperer”, is always delighted for an opportunity to spread the word about the almost magical process of repairing people-pet relationships and stopping the insanity in households that have “gone to the dogs.” A certified Level 3 Canine Specialist of America’s Canine Academy, Susan transforms the lives of desperate pet owners whose adorable Christmas puppies have mysteriously turned into hounds from HELL. 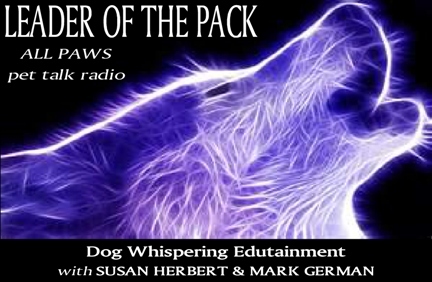 Mark German, America’s Canine Expert, has a special gift. Simply put, he changes people’s lives. Utilizing his advanced knowledge of canine psychology and behavior, Mark travels the United States helping people save the “bad dogs” that other experts have either given up on, or lack the knowledge to help the dog through conventional means. He has saved thousands of aggressive, fearful, and “death row” dogs.